Brightly coloured metallic silver A4 paper for gift wrapping & crafts (pack of 25 sheets). 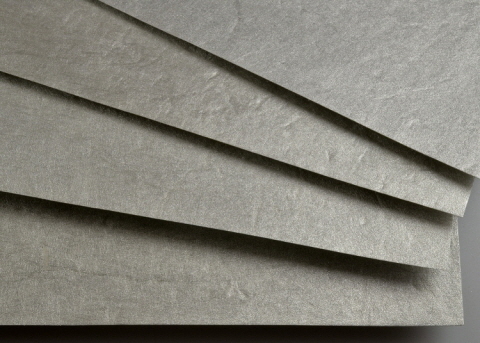 This vibrantly-coloured lightweight 55 gsm lokta fibre paper is silver on the top side only. The reverse is cream-coloured lokta paper. The printer paper has a smooth calendered top surface and a slightly less smooth reverse surface. The metallic papers don't take print very well but they are ideal as a very attractive paper to wrap small or valuable items, such as jewellery.